So What is the Fideicomiso Anyway? Escrow and Title Services In Mexico; Your Money is Safe! Escrow, Title Insurance, & Closing Services in Mexico! What is an escrow agent and what do they do? 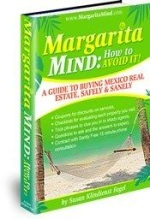 And why do you need to use them in your Mexico real estate transaction? For the same reason you use them in the US or Canada: safety for your funds, security of title, and ease of disbursing all funds at closing. Escrow services work for buyers and sellers. You are not 007 You do not have a loicense to Kill when buying Mexico real estate. Learn how to be a good buyer. And find information about where to go for indepth information. Do I Really Need a Fideicomiso to Buy Real Estate in Mexico?